Is It Worth Trying Shea Butter For Acne? Is It Worth Trying Shea Butter For Acne? →Is It Worth Trying Shea Butter For Acne? When it comes to considering natural remedies to help combat the effects of acne and other skin scarring such as stretch marks, you are spoilt the choice. There are a wealth of natural oils and butters out there have long been linked to potentially having anti-inflammatory, antibacterial and emollient properties. That's why so many of these substances, or extracts of them that are often listed under different names, find their way into mass produced cosmetics and skin treatments. Many people swear that using shea butter for acne relief really does work, and doesn't clog the pores and make the skin greasy. But what's the truth about using shea butter to relieve the symptoms of acne and skin scarring? Is there any real evidence, or is it anecdotal, passed down and taken for granted? ​Any Evidence Shea Butter Is Good For Acne? ​Can Anyone Use Shea Butter? Shea butter is extracted from the nuts the African shea tree. Although the tree grows in 21 countries on the African continent and is known by a variety of different names, the word used in English, shea, is actually derived from the bambara people of Mali's word for the tree. The process of extracting the butter from the nuts is quite involved and done by hand, which is why this butter is very expensive in comparison to things like coconut oil. It is an arduous process for one person, consisting of 22 different steps, that takes place over about a day to produce around 1 kg of shea butter. It has been used for centuries across Africa as a natural skin conditioner and protector, as well as being used for cooking. In terms of modern use, it is present in many cosmetics products and also in so. Sometimes it is labeled as butyrosperum parkii oil rather than shea butter. It is even sometimes used as a substitute cocoa butter in chocolate products, although its taste is distinctly different. 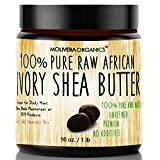 You would think that considering it has been used as a skin conditioner in Africa for centuries, and that the cosmetics industry widely used it in creams, make up soaps, but there would be clear evidence that the relatively expensive shea butter is naturally beneficial to human skin. But surprisingly there is very little scientific evidence that this is the case in terms of specific scientific studies and trials specifically looking at shea butter. So shea butter is made up mainly of short-chain fatty acids, specifically Oleic acid. In terms of acne, it's the greasiness of the skin caused by an imbalance in naturally produced sebum which induces outbreaks of the condition. Oleic acid can unfortunately increase the greasiness of the skin due to its superb ability to lock moisture and oil into the skin. These short-term fatty acids are very similar in composition to human sebum, and an excess of them can be reinforced by using these types of acids. Which means that shea butter generally is not an ideal candidate for reducing the effects of acne. It's brilliant for helping to lock in and reinforce natural moisture and conditioning dry skin, but not for greasy skin. But that's not the whole story, and many people do find relief through using Shea butter for acne. As we've already seen from looking at the composition, different types of shea butter have different compositions which can affect people in varying ways. With so much anecdotal evidence out there suggesting that it can help, completely dismissing using shea butter for acne relief might be premature. This is for two reasons. The first is that shea butter is rich in short-chain fatty acids, and the second is that it is low on what is known as the comedogenic scale. Short-chain fatty acids are rich in Omega 3 and 6, plus several vitamins. These can have beneficial effects on acne sufferers because they are naturally anti-inflammatory, antibacterial and help to protect the skin. In fact, fish oil supplements which are rich in Omega 3 and 6 are often recommended to help relieve the symptoms of acne. So as you can see, using omega-rich shea butter on the skin could actually have benefits in terms of being an anti-inflammatory especially. In terms of shea butter being low on the comedogenic scale, this is a rating 0 to 5 that assesses how likely pores are to be clogged. Shea butter rates a zero on this scale, meaning it has a very low probability of blocking the pores of the skin. Which flies in the face of the scientific evidence that suggests it can clog pores due to its fatty acid composition. However, as we've already said, everybody's skin is different and the composition of different types of shea butter also varies. Shea butter is also sometimes used to treat stretch marks. Stretch marks are a completely different type of problem to acne however. Whereas acne is caused by greasiness in the skin clogging pores, stretch marks are scars caused by stretching the skin. This skin is dry and damaged due to stretch marks being caused by the minimizing of collagen and elastin in that part of the skin. Shea butter is rich in short chain fatty acids that can nourish dry skin. On top of that, it contains vitamins A and E which can be beneficial for the helping the body to increase levels of collagen and elastin. Retinoid creams are rich in vitamin A and are often recommended for skin conditions because they improve cell growth and the ability for the skin to repair itself. So it makes sense that a natural substance rich in vitamin A, that is contained in a rich carrier oil that is able to penetrate the human skin could be beneficial. However, it's important to note that as of today there is not a single full scientific study that has concluded shea butter is able to significantly benefit stretch marks or scarring. In terms of using shea butter for stretch marks and dry skin, there is absolutely no reason why anybody would not be able to experiment with using shea butter. However, in terms of using shea butter for acne it is advisable to be very cautious about doing so. As we have already said, shea butter could actually increase acne due to clogging the pores, as has been observed in many people. But as we have already said, other people have observed it lowers inflammation and clears the skin, so there doesn't appear to be any clear answer. If you decide that using Shea butter for acne relief is something you want to try, then you should keep a careful eye on your skin to make sure your symptoms are getting better and not worse. If you want to experiment with using shea butter for acne then a great way to do so is to create a simple recipe of your own that will allow you to try it on your skin to see the benefits it, but not purely on its own. This has the dual benefit of watering down any potential negative aspects around blocking pores, while allowing you to apply other potentially beneficial natural substances to your skin at the same time. To prepare, place the shea butter in a microwave bowl so that it melts. Then add the other ingredients and gently mix together. You can then apply this mix conservatively to the skin while it's still warm so that it sinks in immediately. You won't need a lot of it, and doing this every few days you should start to see within a couple of weeks whether it is benefiting your skin and helping to reduce levels of acne at the same time. If the shea butter is white then be wary of it. Although a white-ish color is fine, and points to some refinement but not destructive refinement, a completely perfect white shea butter is a sign that it could have been refined and bleached as well. Remember that good quality shea butter is not cheap and you should be looking to pay a competitive price for it. If you see it available on a site like Amazon for a suspiciously low price, then remember that if something appears to be too good to be true, then it usually is.